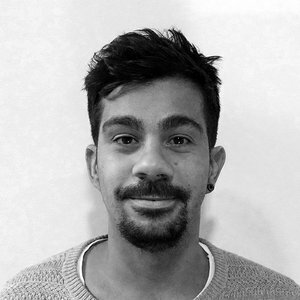 Diego Oliveira is a Board Creative Director at AMV BBDO in London. Diego started his career in São Paulo at the advertising agency Click where he won a Silver Cannes Lions in 2006 and also collected a gold medal at the Young Creative Competition. After that he moved to Africa São Paulo where he was hired to help build the new digital department. At the end of 2008, he moved to BBH London to work with clients such as Axe, Johnnie Walker, Barclays, Vodafone, and others. In 2010, he won the UK Young Creative Lion competition. Furthermore, he was responsible for creating Axe “Apollo”, the integrated campaign which won 4 Lions and 3 D&AD Pencils. In 2012, he moved to Mother where he worked with clients such as IKEA, Stella Artois, Powerade and others. Most recently he created the IKEA Beds spot, which won a gold Lion in Cannes, 4 D&AD Pencils and was instrumental to award IKEA campaign of the year by campaign magazine. Now at AMV he created “Blood” for Bodyform, which won a Gold Lion in Cannes last year.